Don't read this if you haven't completed the trilogy! It's kind of quickly bashed-out because I wanted to get something down while things are still swimming around in my head. Might be up for some editing later on. 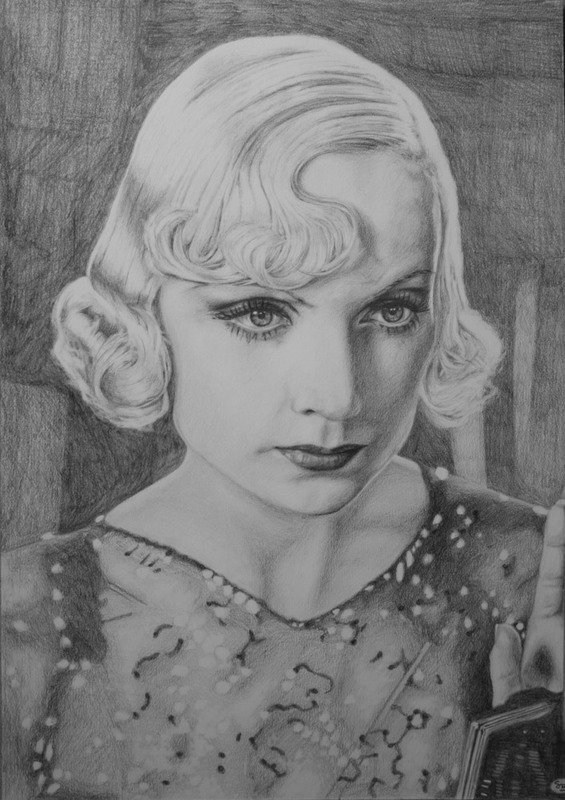 I completed this a week ago, and I was completely happy with the whole thing, the whole trilogy. I was so dark leading up to its release that I really didn't know anything about it - even who was in it (in terms of returning characters). Once it launched I stayed away from game sites and didn't even look at twitter. An incredibly refreshing way to play a game in these all-access, spoilers-everywhere times (I highly recommend this approach for story-led games). In fact, I didn't even know people were unhappy about the ending until a friend told me (and we're both spoiler-sensitive enough that he himself didn't know why, he'd only seen headlines). Anyway, I'm really struggling with the idea of replaying the saga, even though I want to spend more time in those games. 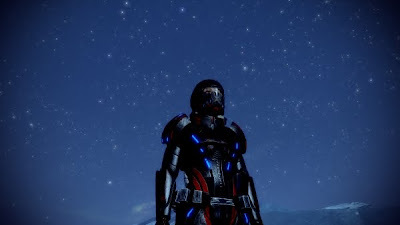 I'm pretty precious about Mass Effect, and the story and characters are very dear to me. The story I experienced is the only one I'm interested in, because that's the only way I see that universe, if you get me. The characters that lived and died, the choices I made... all that stuff is Mass Effect to me. There's no other interpretation. The notion of replaying for a 'better' outcome just feels so odd. It would be like remaking a classic movie and changing the ending (for the record, I never reloaded a save to go back on a decision or event that played out badly). Well, I'm only a week out from it so maybe over time I'll warm to the idea. Spared Rachni (the cutscene afterwards with Grunt fighting put me through the wringer). Cured the Genophage (Mordin died. I cried during that sequence, which is the only time that's ever happened thanks to a videogame). Ended the war between the Geth and Quarians peacefully, although Legion sacrificed himself to upload his consciousness to the collective. I played a very righteous Shepard. Fair and always willing to do the best for everyone, but still very practical and serious about her job. Merciful in all but the most extreme circumstances and ruthless in combat. Lots of problems with it on a technical level, but that holds true for all three games. Combat is something I grin and bear in order to get to the next bit of story, or the next opportunity to talk to my crew. Side missions are a mess, woefully handled. 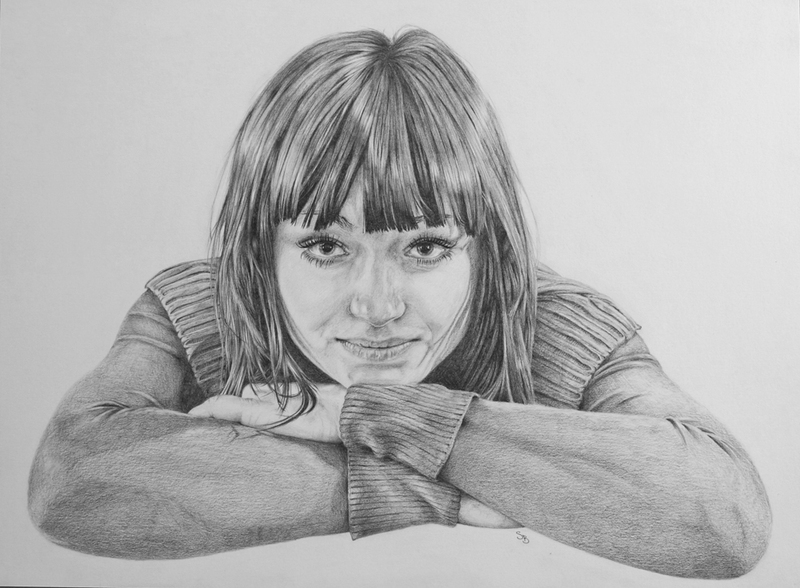 Often I would complete them without even realising I was on them. Javik was such a jerk! He wanted me to blow Legion out the airlock. Some gobsmacking designs and environments. I was a bit disappointed in the lack of exploration, but then the focus of the game was a hurried gathering of forces rather than a leisurely galactic jaunt. I thought the end was fine. I have no problems with lack of closure or ambiguity anyway - a lifetime of reading sci-fi has seen to that - and I fully expected the sacrifice of Shepard to be inevitable. In fact I spent most of the game confidently convinced that she was the catalyst. I'm a sucker for noble sacrifice though. If anything I didn't appreciate the young boy as the delivery mechanism for the final decision, but that's just because I didn't particularly like exposition time! coming from a child. Also, it kept reminding me of Jake Lloyd. I didn't need or want to see any kind of epilogue with Garrus setting up a private investigation firm, or Joker and EDI's biomechanical kids running about. I loved that the ending was so final and literally transformative for the galaxy that it would have been a clean slate. The cycle is broken and everything can move in a new direction. As for things that needed closure - the main stuff was served with endings - they just didn't come at 'the end'. During the course of that game I wrapped up two major plot threads of the saga - the Genophage and the war between the Geth and Quarian - both of which could have gone in very different directions. I don't know the nuts and bolts that lie underneath the surface, but I'm sure that many more things I did along the way impacted subtly on the course of ME3's story, and the choices I got to make (I had greyed-out dialogue with the Illusive Man at points, for example). It's not all about the very, very end. I think anyone focusing on the final decision is kind of missing the point. The journey is as important as the destination, if not more so. A friend said something that was absolutely bang-on: Think of the whole of Mass Effect 3 as the end of the Mass Effect story, not just the last five minutes. The Reapers had to be dealt with in order to bring the story to a close, but the method is almost irrelevant by that point - is it any better or worse than ME2's Contra III Boss fight? Personally, I was hugely relieved that it didn't come down to a boss fight, cos I frickin' hate them. The last bits of the puzzle got explained, I made a decision based on the ideals of my Shepard. Fin. *Shep rips off mask* "Haha! I was a Reaper all along!" I think Bioware did just plenty in giving us a wide range of choices and branches, but we have to be reasonable about the overall story - it has to stay within certain parameters just to make sense among everyone playing it. My story - while still being about the Reapers, the Genophage, and dozens of other threads - varied hugely from my friends on the specifics. Did people think there would actually be dozens of completely different endings, depending on whether or not you shot Conrad Verner in the foot? I may be wrong, but did Bioware ever explicity promise that we would all have vastly different endings? Vastly different stories along the way, yes - and we did. Ah... I've ranted too long on this and I didn't mean to. I saw a film that I liked so much I'm writing about it. How about that. In the hands of a Brett Ratner or a Louis Letterier, and headlined by a go-to low-budget action star, Drive would be just another in the endless pile of merely competent, brainless action thrillers populating many a casual moviewatchers' DVD shelves. Fortunately this is one of those occasions where straight-up B movie fodder is transformed by a bunch of talented individuals into something rather more special, thoughtful, and very possibly timeless. Like getting Scorsese to direct Cape Fear or The Departed... still very much a genre piece, but gaining that particular edge that lifts it higher than any reasonable expectation. Ryan Gosling plays the never-named 'Driver'. 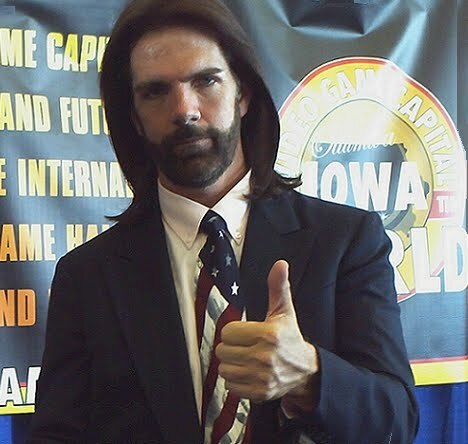 A classic existentialist movie character, a man of few words (at an outside guess I'd say he has less than 50 lines in the film), and ice cool self-confidence - the kind borne out of being extremely capable in his particular line of work, and very sure of his world. Working as a mechanic and stunt driver for the movies, and moonlighting as a getaway driver for hire, he's living the spartan, focused lifestyle of the single-minded professional. He's Léon, or Le Samourai's Jef Costello. That is, until he meets and becomes friendly with a new neighbour (Carey Mulligan) and her young son. Parallel to this is a local crime boss (Albert Brooks), who is fronting the money to start a legitimate racing team with Driver's garage boss and confidant (Bryan Cranston). The plot won't be spoiled in any way here, but needless to say things don't quite continue on this pleasant track. I think I actually prefer the first half of the film. There's a real tenderness and honesty to the growing friendship / possible relationship that builds not only between Mulligan and Gosling, but also Gosling and the boy. Clearly Driver has come from a murky past, but he's transformed by the pair. Although stoic and often silent, he's perfectly capable of being warm and charming in a genuine way. He even seems to acknowledge to himself that becoming close to these people is a kind of inevitability, something that's beyond control in his finely-structured existence. I found the lengthy set-up of these characters captivating, which of course earns the film every ounce of investment it needs for its subsequent trajectory. There's a particular defining moment, a simple dialogue exchange that that makes you realise there's something much darker bubbling under this cool surface. It comes out of nowhere and it stood my hair on end. When Driver ultimately has to resort to violence he does so with absolute fearlessness and brutality, but the work done in the first half of the film keeps us with him. 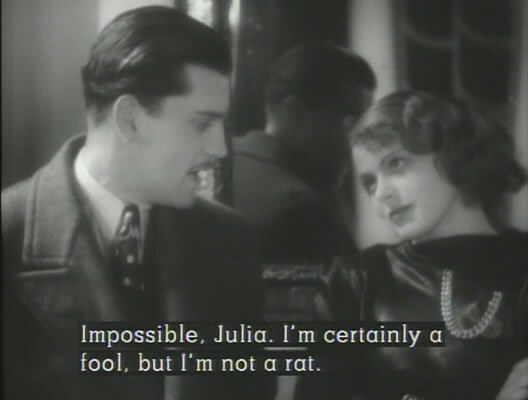 Although it has a standard noirish B-movie plotline, it's the little choices it makes in individual scenes that I love. The overarching story is full of well-worn tropes, but in the moment to moment stuff it confounds expectations every time. A lifetime of film watching has loaded me with a smug self-confidence in second-guessing, but Drive really does its own thing. I don't mean the details of the story... I mean the things it decides to show, or how to show them. How you'd expect a clichéd character to behave, versus how they actually do in this film. How you'd expect an action scene to go down, or a car chase. I found it really refreshing. Drive feels like a movie that Michael Mann or William Friedkin would have made in the 80s (and really the only thing that betrays its contemporary setting is its car models and the use of mobile phones). It's incredibly stylish, but also meaty. LA is shot with searing brightness during the day and given a warm glow at night, favourably comparable to To Live and Die In LA, Heat, or Collateral. Great 'city' movies. The full widescreen frame is never wasted and there are some truly beautiful compositions and visual moments. But the visual slickness is easily matched by a clutch of excellent performances and an emotional core. It also has a killer synth soundtrack (another thing that could place it bang in the 80s). Sometimes you're watching a new movie and you know it's going to be one of those that's going to cement a spot in that often-maligned category of cult classic. One of those relatively low-key movies that just endures - the kind that people light up about when you remind them it exists ten, twenty years down the line. It's cool, to put it simply. It's a really goddamned cool movie. Bang on, really. This very blog is a prime example of someone using enabling technology to broadcast every tired little thought he has to the world. OK, people play games together over the internets, but individually they're mostly still 13 year-old boys (mentally or physically) shut away in their rooms. And I think he was predicting Heavy Rain, which is probably as good a story as you're going to get with 300 writers. Jez is right on the money here. Perhaps only just starting with streaming content from the likes of OnLive and Blizzard, but Steam and console download services fit the bill for online browsing and purchasing. Pull over, I'm going to be sick. "There's one thing bad about it; if the best cart around is a compilation of old eight-bit games, it doesn't say much about the standard of new games, does it?" Ingrid Bergman is my favourite 'Classic Hollywood' actress, but it occurred to me there are a bunch of films from her pre-Hollywood days that I haven't seen. I've decided to rectify this by making my way through her career (as much as I can) and offering up my usual half-baked thoughts. A fast-talking drama/comedy of manners, Dollar concerns the relationships of a trio of wealthy Swedish couples. The hook is that everyone in this setup seems to lust after someone other than their own spouse, and quite openly. While nothing untoward actually appears to have happened there's still a great deal of flirting and jealousy creating tensions within the group. Everything comes to a head when they find themselves under the harsh gaze of an American millionairess while on a skiing trip. I really enjoyed this film a lot. It's brisk at 74 minutes, and the snappy dialogue and general vitality of the performers keeps things rattling along. Although everyone on show gets a decent amount of screen time Bergman is clearly the center of attention, playing a somewhat bitchy role with obvious relish. Elsa Burnett gets the bulk of the comedy, playing the overbearing and meddlesome American (referred to as Ms. Dollar for her wealth). Ultimately it's a story about being open and honest with your feelings and there is a genuine romantic heart to the film, with everything being resolved happily in the end. Twelve years in the waiting and seven in the making, Blizzard finally let the world in on its continuing saga of the war between the Terran, Zerg and Protoss. Undoubtedly one of the most eagerly anticipated sequels in gaming history, and one with an almost impossible expectation to live up to. What Blizzard did to pull off the resounding success that is Starcraft II, is 'simply' polish it to gleaming brilliance. Starcraft is probably most famous among RTS fans for its almost perfect balance, which is without doubt a major factor in its continued popularity. A legitimate sport has been made of the game as a consequence of it. 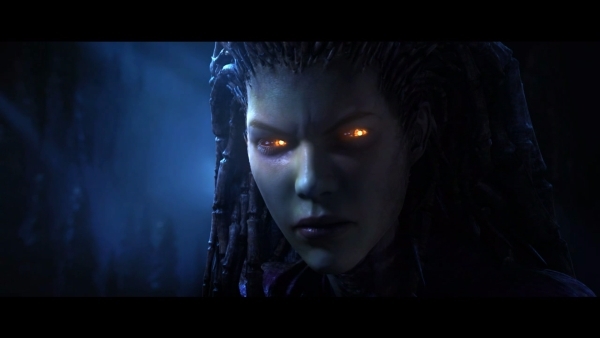 Starcraft II doesn't mess very much with the formula in terms of the makeup of the various factions. What it does do is wrap the package in phenomenally high production values and offer a multiplayer component that is second to none. Back to the game itself for a bit though. 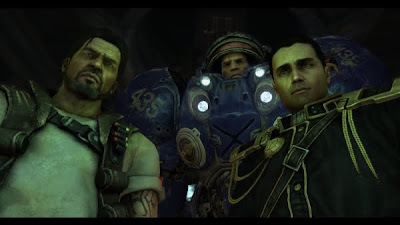 The storyline picks up a few years after Brood War left off, with the Queen of Blades and her Zerg swarm vanished without trace, the Protoss retreating from the spotlight and Jim Raynor leading a rag-tag rebel group intent on taking down treacherous emperor Arcturus Mengsk. Raynor gets involved in a race to uncover ancient artifacts, which also brings the Zerg and Protoss back into the action. A fateful encounter between Raynor and former human 'Ghost' Sarah Kerrigan - now the corrupted and dreaded Queen of Blades - seems inevitable. The presentation of the story in Starcraft II is done via the modest 'hub world' of Raynor's battlecruiser. Between missions you can move around the ship, talk to key crew members to advance their own stories, unlock bonus missions, and research and upgrade equipment. The heavy 'rednecks in space' feel of the original game is in full effect, but while the characters are somewhat stereotypical, the quality of the acting and visual design is top-notch. Many RTS series are trying to find ways to push the genre forwards from the simple base-building of old. With its Dawn of War and Company of Heroes series, Relic is focusing down onto small groups of units under direct control and individual character progression, merging the genre into more of an RTS/RPG hybrid. Supreme Commander is going the other way, offering action on an unprecedented scale. Blizzard on the other hand keep the campaign mode of SCII fresh by pretty much never repeating themselves. I can't recall any two missions in the game where all I did was build a base and an army, and march it across the map to wipe out my opponent. There are stealth missions involving single characters or small groups, there is a train robbery mission, there's one in which rising and falling molten lava reveals and hides parts of the map in turn. There's a mission where the entire map is being consumed with fire, forcing you to keep uprooting your base and units and re-establishing them. Another where you have to defend a base during a day/night cycle, completing objectives across the map during the day, while the night part brings overwhelming hordes of creatures to bear on you. The range of things to do in the campaign mode means that it never for one moment feels repetitive or stale. On top of that there's an element of branching structure, where certain missions (and eventual technologies) are available or not depending on your decisions and dealings with major characters. Optionally through the missions are secondary objectives that bring you rewards in the shape of points to spend on Zerg and Protoss research. Money is also rewarded for successful missions, and this can also be spent on upgrades to your units, vehicles and buildings. You can't simply afford everything, so choices have to be made on where to spend these resources. The storyline wraps up the chapter very nicely, while obviously paving the way for the next instalment - Heart of the Swarm - in 2012, telling the Zerg side of things. It may not be the greatest story ever told but it's done with such warmth, humour and style that it's totally compelling. However, the campaign is only half of the package of Starcraft II. Now, we all know Blizzard have a long and celebrated history with their devotion to the online side of their games. Notwithstanding the behemoth that is World of Warcraft, they have continued to refine and support Starcraft and Diablo II for over a decade. Still patching and tweaking things after all this time. Their relaunched Battle.net service brings everything together for their three core series, and it's a really slick piece of work. You can jump right in against other players and fight your way up the rankings, but first it's best to play a series of unranked matches that determines whereabouts you should start when you do go competitive. Battle.net takes all the stats from your games and figures out who you ought to be playing against, skill-wise. As long as people aren't hustling the system you should mostly get matched against a fair competitor. Starcraft II online is thrilling stuff, and while I'm certainly not very good at it I still enjoy it immensely. The replay functionality is very helpful here, not only for your own mistakes but also to see just how others play the game. Battle.net also keeps track of crazy numbers of stats for the truly dedicated. If you have friends on Battle.net it's also a great social game to boot. Lobbies of players can spectate on matches, chatting in their own channel and viewing the action freely or from the point of view of any player. They also have access to information such as current construction, unit breakdown, economy, and even how many actions per minute the players are performing. Blizzard have done as good a job as possible to maintain the spectator sport feel of Starcraft online play. I'm an unrepentent and unapologetic Blizzard fanboy. I love the games they make and I love the way they go about making them, from visual design to company philosophy. Yes we have to wait for years, but I'll take their "Ready when it's ready" approach over any rush to a release date, especially when they deliver a game of this calibre. Not only my favourite of the year by quite a margin, it's right up there with the best I've ever played. Mass Effect was released just a little too late to be included in my all-time top 100, where it would have secured a high spot. ME2 improves on the original in almost every way. For starters the overhauled engine is so much better you wouldn't believe the two were related. On PC it's much less of an issue, but the difference between ME1 and 2 on Xbox 360 is night and day. It's not just visual though... in every facet of the sequel Bioware stepped up and delivered the goods. In some quarters the streamlining of the interface was regarded as dumbing down, moving the game closer to an action adventure than an RPG. In reality it removes a lot of cumbersome and frankly unenjoyable busywork and lets the player focus on the thrilling story and enormously improved combat. Mass Effect as a whole is totally irresistable to a space opera fan, and through both games it really feels like you're an integral part of this complex, expanding story. In true Bioware tradition there are tough choices to be made that significantly impact the subsequent path of the story, and beyond that there are dozens of callbacks to minor incidents from the first game (importing a character from ME1 is an absolute must). All this of course adds huge replay value. The choice to put instant Paragon and Renegade actions on a mouse click without ever telling you exactly what will happen is a brilliant move as well, with often surprising and hilarious results. There's some astonishing performance work going on too. While there are always moments of iffy animation they are completely overshadowed by the quality of movement and expression in cutscenes. 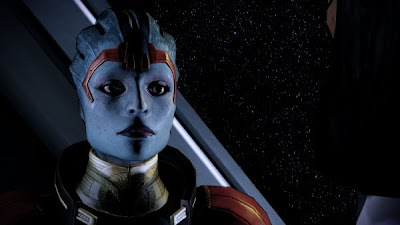 The writing and characterizations are also uniformly excellent (in particular the Asari character Samara blows my mind with her realism and performance), and the extent to which Bioware has gone regarding relevant dialogue depending on your characters is very impressive. It's a game with really no poor dramatic qualities to speak of. Structure-wise, where ME1 was an epic quest with a strong story thread, ME2 is more a sequence of short adventures with an overarching main plot - different but no less accomplished. I seem to be alone in lamenting the loss of the planetary exploration aspect, which to me was a big part of feeling like I was truly 'out there' in the unknown reaches of the galaxy. I also seem to be alone in enjoying the planet scanning and mining aspect that they added in its stead (though even I admit that's not quite so addictive on multiple playthroughs). The venerable Civilization series continues to refine and move forwards, ideas coming and going, and small but welcome visual upgrades marking each new instalment. I've loved Civ since my Amiga struggled to handle it almost 20 years ago, and while I've always been generally rubbish at it, it nevertheless keeps me enthralled and addicted with its legendary 'One more turn' gameplay, and of course the basic fulfilment of watching my empire grow. 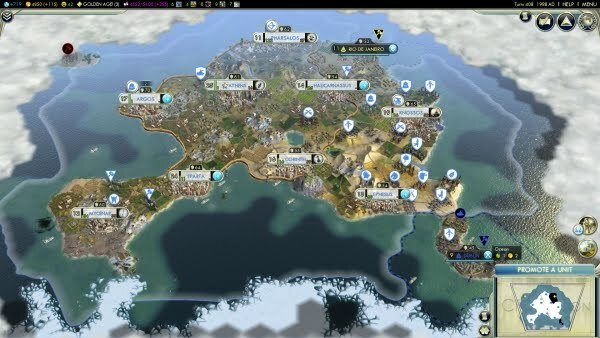 Civilization V is actually very pleasing to look at, with nice effects and animations and a new terrain model that allows features to blend in more seamlessly with one another, giving more of a natural feel to the landscape while still being easy to read. As ever, my main enjoyment of playing these games is just seeing everything expand and improve, dipping into the Civilopedia for a bit of light history now and then. Aside from being a strategy game, Civilization encompasses a few interests of mine (ancient history, culture and the progress of technology), and while obviously only being on a very superficial level it still feels like I'm involved in something fascinating and educational - only the teacher is really cool. From the changes, without going into boring specific details I'm most happy with the streamlined interface they've evolved from the console outing Revolution, the addition of City-States to mix things up nicely alongside the full-blown civilizations, and the decision to have only one military unit per tile (I always found stacked military units clumsy to deal with). Everything feels... cleaner. It's still incredibly difficult to get anything other than a military victory over the AI on harder difficulties though. It feels like faint praise when really that's not the way I intend it, but Civ is like a comfy pair of slippers. I find it wonderfully relaxing. Winter especially benefits from a good long session huddled at the PC with snacks and coffee, click-click-clicking those turns away. 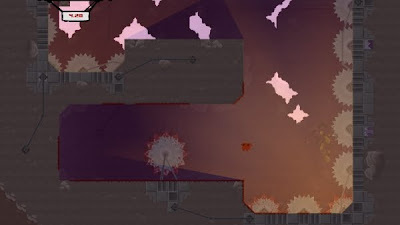 Another title in the list that wears its retro credentials on its sleeve, Super Meat Boy is a ferociously challenging platformer that demands every last drop of skill from the player. The main thing about SMB is that it should be maddening. It should be throw-the-controller frustrating... but it's not. There's something about the presentation that's so goofy and cheerful that continual failure only raises laughs instead of ire. There's also a deep respect for the game itself. The control is so perfectly pitched and the levels so cleverly designed that not only are you sure that next time you'll crack it, you feel you owe it to the game to succeed. SMB doesn't cheat the player. It's hard but totally fair, and for the most part every failed attempt only serves to refine your sequence through a level. The first tricky jump becomes second nature as you focus on the second, and so on. Often you get your first look at a level and think "No way". But then you do it. You may do it after 100 attempts - but you do it. The satisfaction is unequalled. And to be honest, as an oldschool arcade gamer it's nice to know you've still got it. The original Pac-Man Championship Edition featured in my all-time top 100, and a little over three years later the follow-up has arrived to take its place, refining, expanding and improving the modern classic in every way (Pac-Man CE is even included wholesale as a mode in this version). 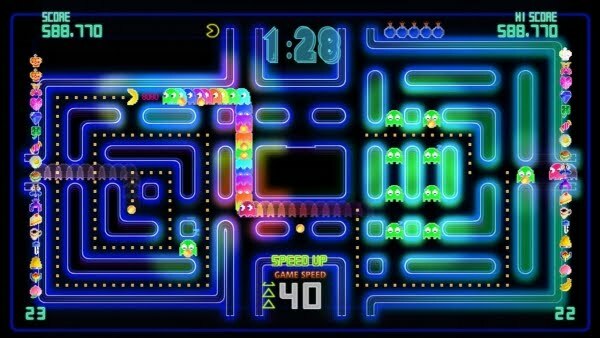 It retains the neon look of the original - already firmly established as a perfect visual choice for such an update - and once again focuses on timed score attacks rather than the more endurance-run nature of the Pac-Man of old. The new key factor is the 'Ghost Train'. Most ghosts now sleep in positions on the maze, and only wake when Pac-Man moves past them. When that happens they follow him determinedly, building to a line of up to 30 in the train. By eating a power pill Pac-Man can turn on the train and munch through it in a spectacularly satisfying fashion, speeding up as he goes while the sound effects increase in pitch. So, the core of the gameplay is to figure the most efficient path through each dot pattern, making sure to pick up all the ghosts on the maze as you go. When pulled off successfully this becomes a beautifully flowing sequence, and the dot patterns and ghost layouts have obviously been painstakingly designed to that end. A perfectly executed set of patterns will always see a power pill appear, the resultant chomp through the ghost train giving a massive points boost before the maze resets for the next run. The flies in the ointment for the player are the handful of free ghosts that move about the maze, and the fact that the speed of the game increases as the points increase. At high levels Pac-Man becomes incredibly fast, requiring lightning reflexes and forward-planning if the patterns are to be maintained. When things become a little too much - an error in movement or a bit of bad luck with the free ghosts - the player has a limited number of bombs they can use. A bomb blows away any ghosts directly next to Pac-Man, and sends the current train to the ghost box in the centre. The game also features a nifty 'bullet time' moment when a ghost gets too close, giving the player an essential extra moment to act. Lives aren't really a factor (unless you're incredibly incompetent you'll never run out before the timer does). It's all about chasing the score. The original Pac-Man template is a piece of game design perfection. A few clever and well-considered tweaks to the formula were all that was needed to keep it not only relevant after thirty years, but absolutely essential for anyone with a true love of videogames in their purest form.